The Da Vinci Diamonds, a very popular game at the Virgin Casino, was recently re-launched in an updated version. The producer of the new Da Vinci Diamonds Dual Play Slot game is the IGT or International Game Technology. The game provides many new exciting features like the double Tumbling Reels and the Tumble Thru features and players get to win more through these additional features. 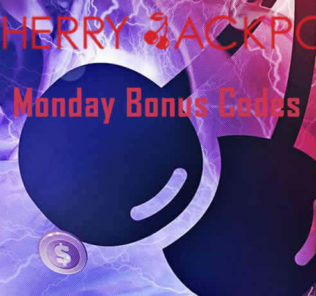 Those players who have got three bonus symbols can activate the Extra Paylines free spins and win huge amounts. The original version of this game had enjoyed a huge player base and with the new additions incorporated by IGT, the responses are expected to be even better. The casino happens to be among the first to include this game sponsored by IGT, which shows that they are committed to make their players enjoy their gambling experiences even more. A leading online casino Intertops has come up with a unique and exciting new promotional game this month to coincide with Halloween celebrations. This new game will give players the chance to win as much as $60,000 worth in prize money. During this promotion, there will be two draws every week throughout the month of October and one leader board promotion. In this, the top contenders can get to win the best prizes. The draws are expected to be carried out every Monday and Thursday and can cater to 200 players almost. The Trick or Treat Halloween Scoreboard is the second part of this promotion where as many as eighteen players can win nearly $7500 worth of prizes and almost $3000 as cash. Interestingly, there are only treats and hardly any tricks for participants in this promotion. All they need to do is to play the games and their names automatically feature on the final scoreboard. They can win many attractive bonuses simply by playing and can monitor their positions by viewing the website records from time to time. Stefan Matthews joined Bodog Europe as the new Chief Technical Officer. He has had several years of experience in this field and has worked successfully in the past on business development along with Centrebet International. Since information technology is the crux of this industry, there is the need for a guide who knows in depth about online gaming operations and has the capabilities to come up with new technical innovations and products to improve the gaming experience for players. In this sense, the experience that Matthews has in this industry and his business expertise make him an ideal candidate for joining the senior management team at Bodog Europe. Free daily slots have been organized by WinADay Casino so that players can take home regular prizes and climb up a leader board. Every day there will be a different set of games and players must compete against each other to get high rankings. When players win a payline, they get a point each and their positions can be tracked on the leader board on a daily basis. More tournaments mean more cash prizes for players and give them the chance to resume playing some games that they have not played since a long time.